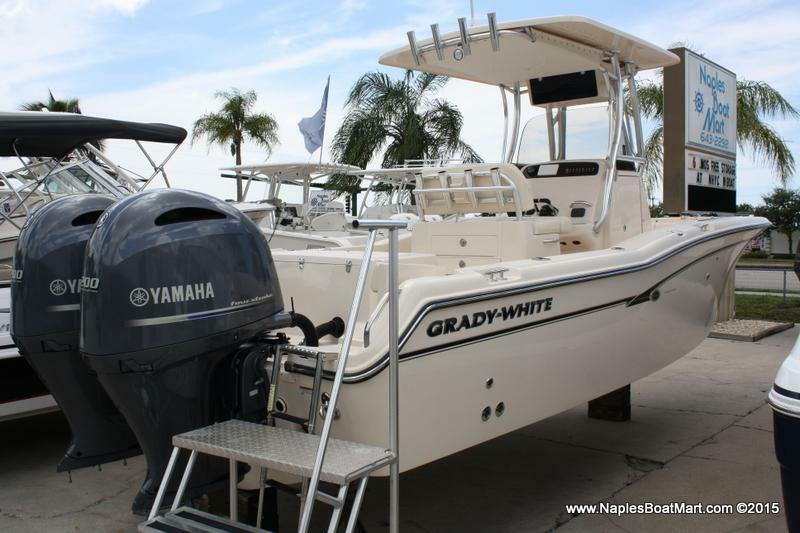 2017 Grady-White Fisherman 257 IN STOCK NOW! 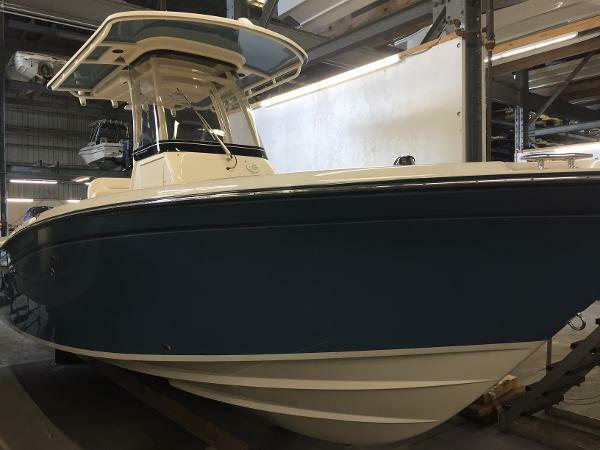 2017 Grady White Fisherman 257 Center Console w/ Twin Yamaha 150 HP 4-Strokes - ALL NEW SEAPORT BLUE COLOR - LOADED - NEW BOW BACKRESTS & COCKPIT STEP! THIS BOAT IS LOADED! Grady White Factory Options Include: Seaport Blue Hull Color, Factory Painted (Powdercoated) Hardtop w/ Matching Seaport Blue Underside, Power Assist Steering, Forward Facing Bow Backrests, Bow Fiberglass Removable Table, PH Marine Head w/ In-Line Macerator, New Cockpit Step, & Dual Engine Flush System Rigging.The 257 has seen major upgrades over the 2016 model year - WOW! 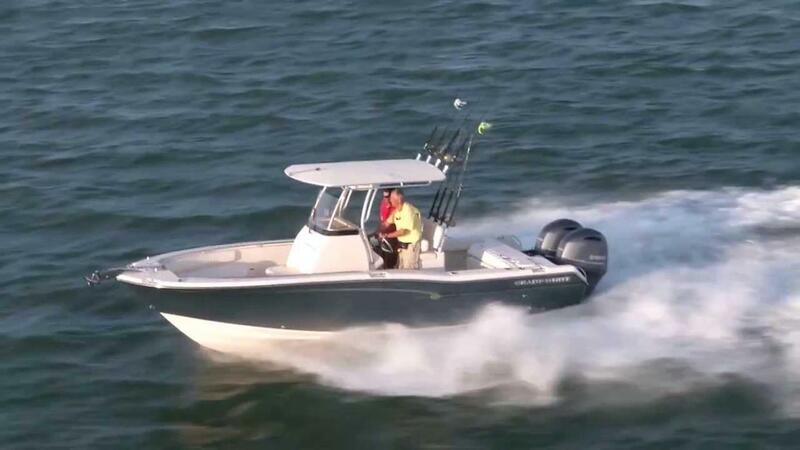 We listened to avid saltwater sport fishing customers and coastal recreation-loving families alike and, as a result, Grady-Whites 25-foot Fisherman 257 center console sets a new standard for boat satisfaction. Topping the long list of must-have features are plenty of offshore sport fishing amenities, a comfortable head area, plus Grady-Whites signature SeaV2® ride. 2017 Grady-White Fisherman 257 We listened to avid saltwater sportfishing customers and coastal recreation-loving families alike and, as a result, Grady-Whites 25-foot Fisherman 257 center console sets a new standard for boat satisfaction. 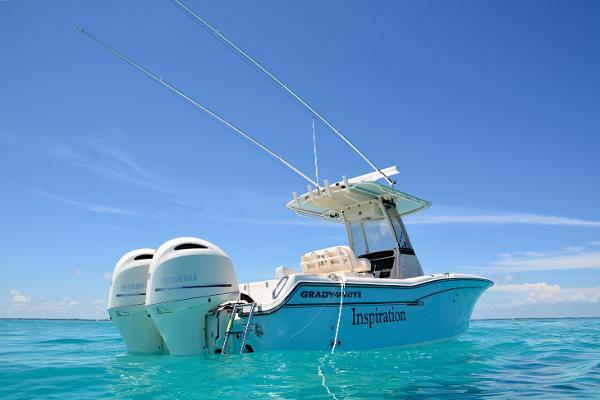 Topping the long list of must have features are plenty of offshore fishing amenities, a comfortable head area, plus Grady-Whites signature SeaV2® ride. 2017 Grady-White Fisherman 257 We listened to avid saltwater sportfishing customers and coastal recreation-loving families alike and, as a result, Grady-Whites 25-foot Fisherman 257 center console sets a new standard for boat satisfaction. 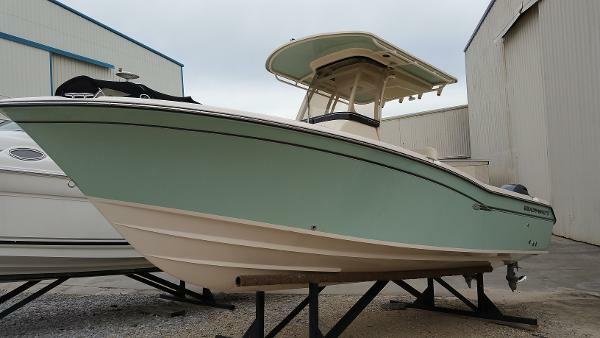 Topping the long list of must have features are plenty of offshore fishing amenities, a comfortable head area, plus Grady-Whites signature SeaV2® ride. 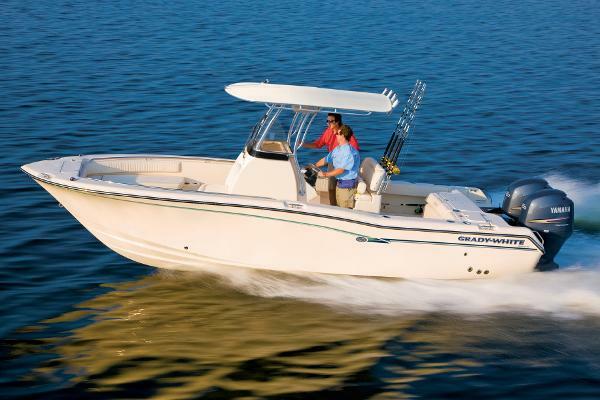 We offer quality lines of pleasure, family, pontoon and fishing boats. 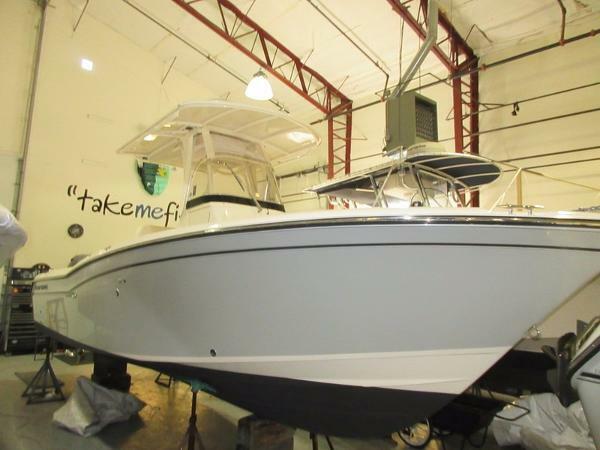 Fish Tale Boats takes pride in offering the highest in customer satisfaction and product quality. Fish Tale is a full service marine dealership located in Fort Myers, Florida on over 7 acres with a 14,000 sqft Sales and Service facility! Fish Tale has been serving Southwest Florida for over Twenty years! 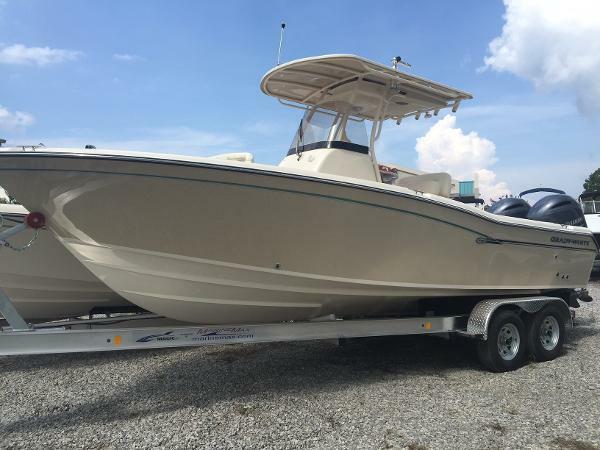 2016 Grady-White Fisherman 257 SALE PENDING 2016 Grady White Fisherman 257 Loaded boat in like new condition. Twin Yamaha F150's with factory warranties until March 2022.Options include custom hull color Fog Blue,T-top with wing canvas, macerator head, anchor windlass, stereo, casting platform insert w/cushion, engine flush system, twin Raymarine 127 12" plotter/sonar/radar, VHF and custom console/lean bar cover Whether its big game offshore or sport fish inshore this Grady-White 257 is ready. 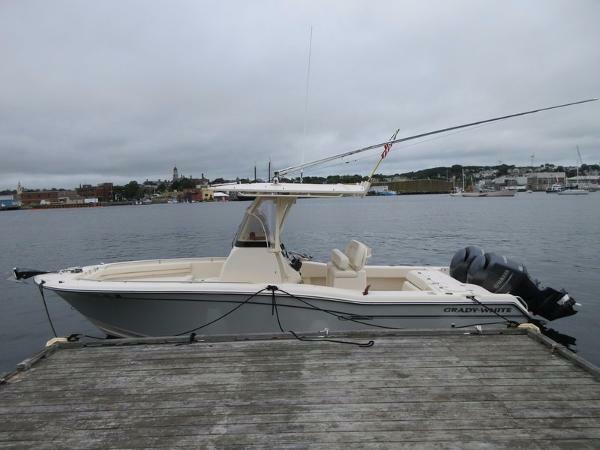 The twin forward 120-quart insulated fish boxes and 185-quart transom mounted fish box provide plenty of catch and keep capacity. The fully insulated 32-gallon lighted livewell keeps the bait lively with full column raw water distribution and bait calming blue interior. The Fisherman 257 comes standard with a deluxe lean bar with footrest, backrest, flip up bolster tackle storage and four rod holders that compliment the four rod holder in the gunwales and four additional rod holders in the optional T-top. The console has a large dash with plenty of space for flush-mounted electronics and lots of storage below with a dedicated space for the optional head. And Grady-White did not forget about comfort with a cockpit freshwater recessed shower, well-positioned drink holders and a fold away transom bench seat that is perfect for long runs offshore. Add the stereo and four speakers and you can rock the fish. 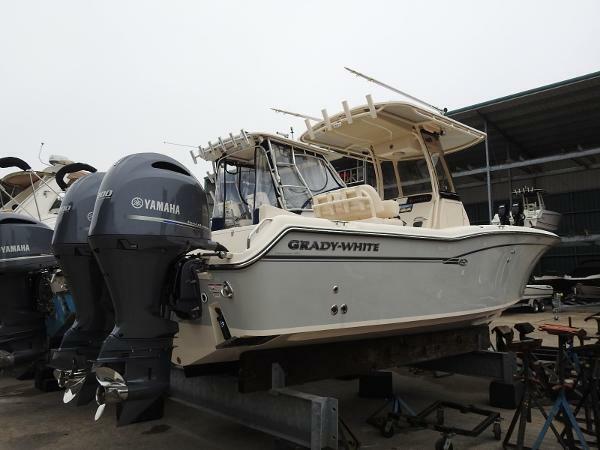 2015 Grady-White Fisherman 257 2015 Grady White Fisherman 257 Powered By Twin Yamaha F200 Four-Stroke Outboards With Only 23 Engine Hours. Bow Pulpit W/Windlass And High Bow Rail, Fiberglass T-Top With Top Mounted Rod Holders, Hydraulic Trim Tabs, Hydraulic Tilt Steering, Livewell, Raw Water Washdown, Fresh Water Cockpit Shower, Battery Select Switch, Transom Door, Boarding Ladder, Teak Bow Table (Still in Original Packaging, Garmin ECHO Map 94sv (9" Screen). Near new Boat in Excellent Condition Looking For a New Home! 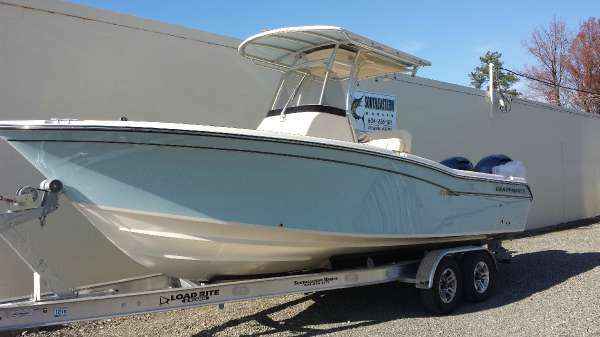 2016 Grady-White Fisherman 257 2016 Grady-White Fisherman 257 powered by twin Yamaha 200 hp outboard motors We listened to avid saltwater sportfishing customers and coastal recreation-loving families alike and, as a result, Grady-White’s 25-foot Fisherman 257 center console sets a new standard for boat satisfaction. Topping the long list of must have features are plenty of offshore fishing amenities, a comfortable head area, plus Grady-White’s signature SeaV2® ride. Options included in our boat are Fusion stereo, pump out head, windless anchor, and T-top with painted frame. Stop by our marina or give us a call for more details. 2016 Grady-White Fisherman 257 We listened to avid saltwater sportfishing customers and coastal recreation-loving families alike and, as a result, Grady-White’s 25-foot Fisherman 257 center console sets a new standard for boat satisfaction. Topping the long list of must have features are plenty of offshore fishing amenities, a comfortable head area, plus Grady-White’s signature SeaV2® ride. 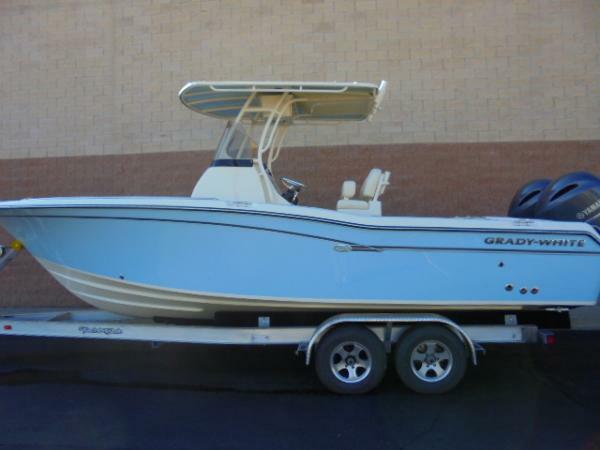 2015 Grady White FISHERMAN 257 SALE PENDING2015 Grady White Fisherman 257Sale Pending. Boat is off site.Contact Baert Marine to view. 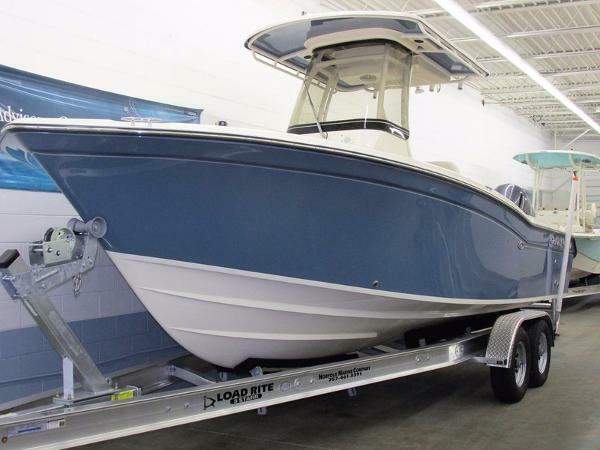 This 2015 257 Fisherman is in like new condition. Powered by twin Yamaha F150's (60 hours).Factory hull warranty until July 2020. Factory motor warranties until July 2021. 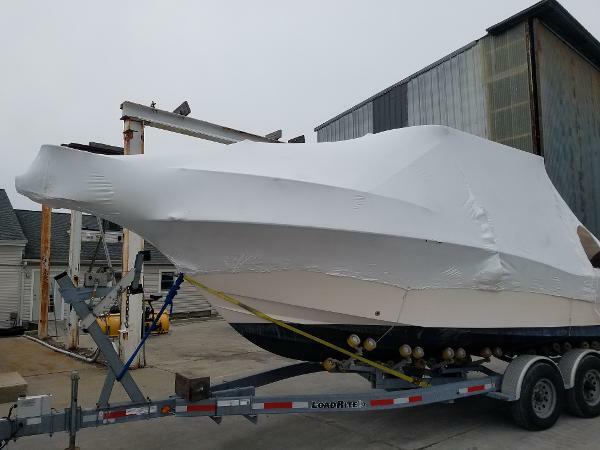 Options include: custom hull color (coastal fog blue), T-top with painted frame, T-top front, sides and wing canvas, head w/macerator, anchor windlass, casting platform insert, Taco 15' T-top mount out riggers, Fusion stereo, Raymarine E7D plotter/sonar and VHF. Like new boat for thousands less.